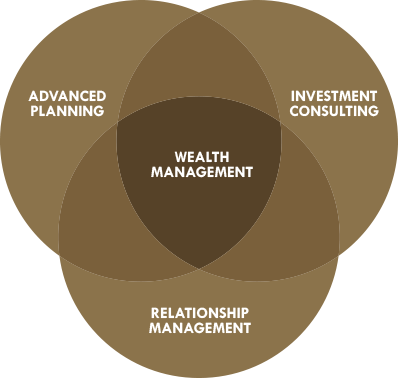 Wealth management means tackling all of your wealth-related issues in a coordinated way, which increases the likelihood that you'll achieve your goals. Castleview Wealth Advisors employs a comprehensive set of services that help articulate and make progress toward your financial and personal objectives. A smart investment approach begins with evaluating your unique goals and circumstances and then customizing a portfolio designed to give you the best chance of meeting your long-term financial goals. This addresses coordination of important non-investment issues, including wealth enhancement, wealth transfer, wealth protection and charitable giving. It’s important to coordinate and communicate with your professional advisors, including attorneys, accountants, insurance agents, bankers and others. We develop relationships with your other advisors to ensure that we are all on the same page to meet your goals. If you need additional professional advisors, we are able to make recommendations. Castleview advises clients on proactive tax planning, tax return including year-end tax planning, tax return analysis, long-term tax planning strategy, tax optimization, and roth conversion analysis. Castleview Wealth Advisors provides plan design consulting, guidance, oversight and fiduciary advice to retirement plan trustees and other committee members. Today’s retirement plan fiduciary faces a dynamic and challenging environment. Personal liability, complex laws and regulations, lack of fee transparency, conflicts of interest and increased scrutiny by investors and regulators represent just a few of the trends that must be addressed.